Shortcut keys are very useful if you handle touch-typing well and you don’t need to look at your keyboard to hit the right keys. That, however, may not be your strength. So in case you prefer to use the mouse for speed and precision, how about teaching your mouse some tricks? You can affiliate mouse movements, i.e. mouse gestures with specific actions, which together becomes a mouse shortcut. Unfortunately, this is not a default Windows feature. You will need a tool and I recommend StrokeIt. StrokeIt comes with 80 default mouse gestures and you can add many more. After installing StrokeIt, you’ll find a little cursor icon in your taskbar. When the cursor is white, the tool is active. A mouse gesture can be drawn while holding down the right mouse button. To view a list of default gestures, left-click the taskbar symbol. The mouse gestures are sorted into categories, for example global actions that work in all programs and gestures for specific areas, including the Windows desktop, chat programs, Google Chrome, Firefox, Photoshop, Winamp, and more. When you open a category, you’ll see an overview of shortcuts, the gesture you have to draw and which keyboard shortcut it will execute. Drawing a U for example will trigger the shortcut [Ctrl] + [Z], which will undo your last action. 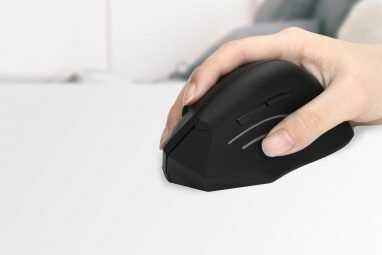 To assist you in training all mouse gestures, StrokeIt comes with a study tool. Go to > Edit and select > Learn Gestures from the menu. Now you can randomly draw gestures you memorized and see whether StrokeIt recognizes them correctly. You can also teach the program your individual “mousewriting”. To teach StrokeIt new gestures, go to > File and select > New Action. For my example I created a new Firefox shortcut. The default shortcut for closing a tab in Firefox is [\ Up], i.e. drawing a backslash upwards. The shortcut I created is undo close tab. I selected the gesture [/ Up] from the dropdown menu. Then I clicked > Add Gesture to confirm my selection and it appeared in the list of gestures. Next I associated a command with the mouse gesture. I right-clicked on the action and selected > New Command. The Firefox command to undo closing a tab is [Ctrl] + [SHIFT] + [T] and it’s a hotkey. So first of all I needed to pick > Keys – Hotkey from the pulldown menu. Then I could click into the > Hotkey box and type the command. Finally I closed the program and tested whether my new shortcut would work. Fortunately, it did. In the same way you can teach StrokeIt many more shortcuts, either to hotkeys, or to open applications, folders etc. 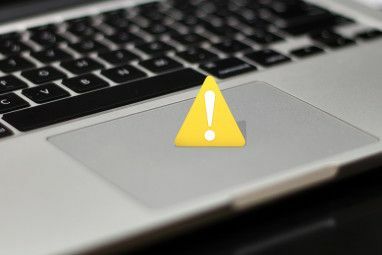 If you would like to temporarily disable StrokeIt, right-click on the taskbar icon and the cursor symbol will turn red. MakeUseOf has previously covered mouse gestures. Varun explained How To Run Windows Keyboard Shortcuts Using Your Mouse How To Run Windows Keyboard Shortcuts Using Your Mouse How To Run Windows Keyboard Shortcuts Using Your Mouse Read More on Windows Vista and Windows 7. 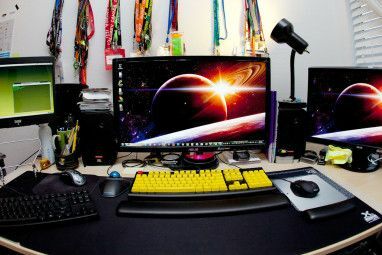 Do you prefer to use the keyboard or the mouse and why? I've been using StrokeIt for at least 5 years. I put it on any system I install, I'm lost with out it, computing just ain't fun without it. Hey great post .Will definitely mark this on my RSS feed .Thanks.